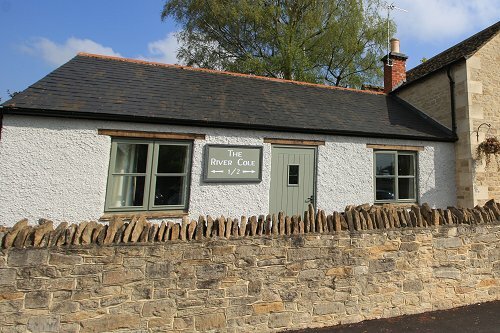 Please book online or just give us a call. 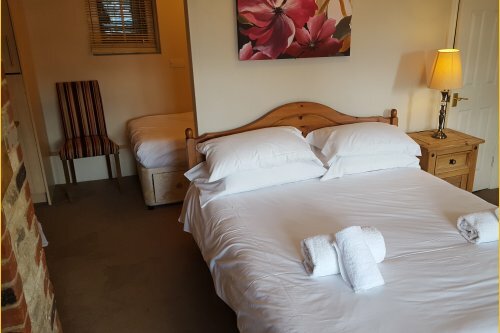 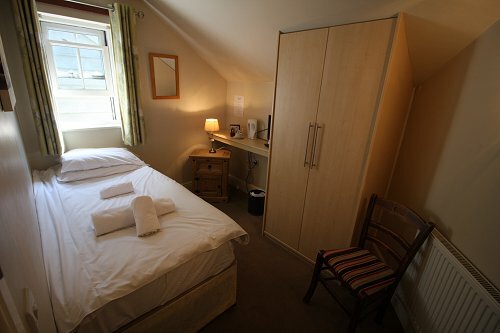 A large ground floor room with a double bed & full disabled facilities incl. 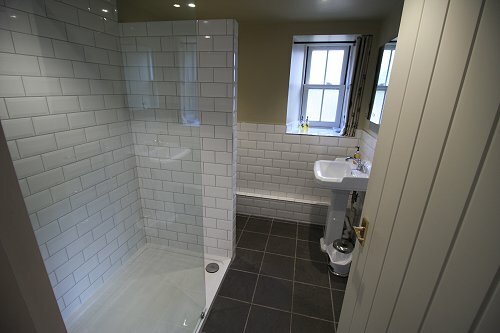 a wetroom bathroom. 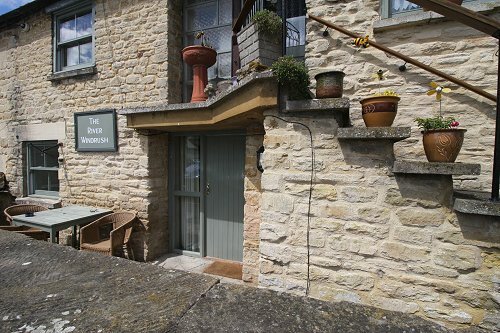 There is a small terrace at the front. 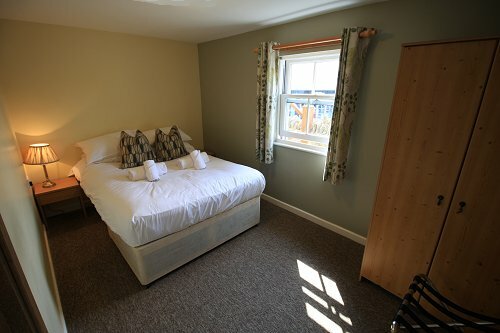 Room includes TV & coffee & tea making facilities. 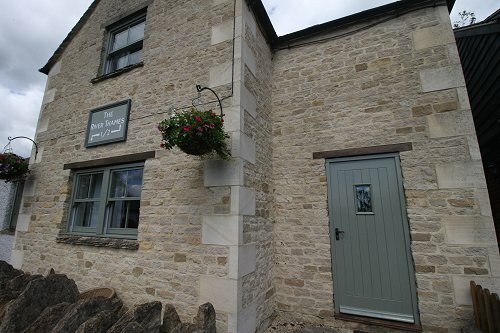 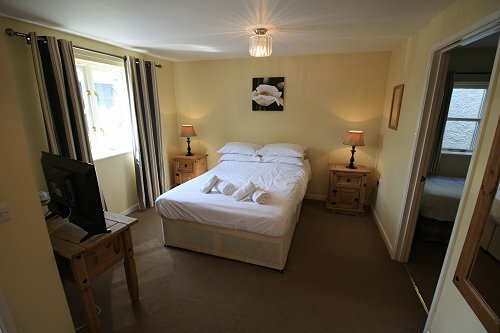 This ground floor room is split in to two separate bedrooms with a double bed & a single bed. 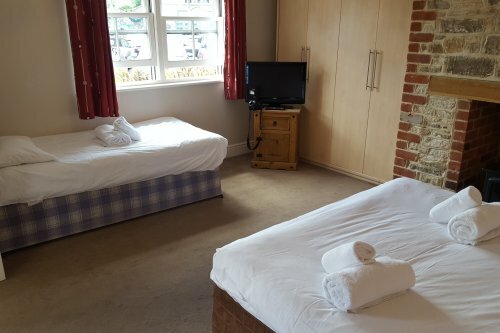 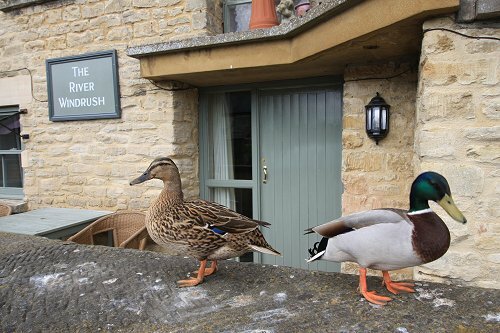 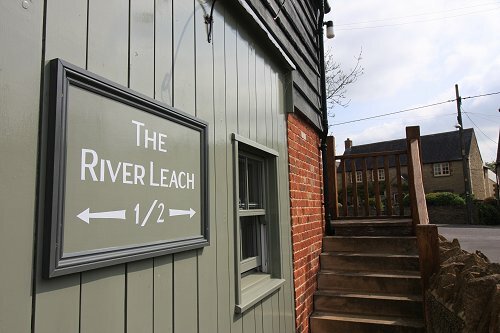 The room is separate to River Cole 2 but many families take both rooms to combine them to sleep 5 in total (one double & 3 singles). 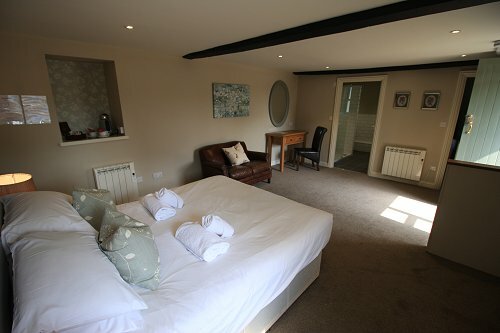 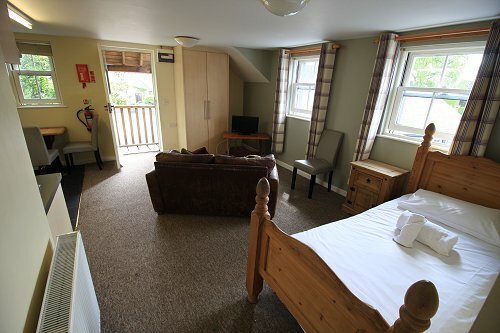 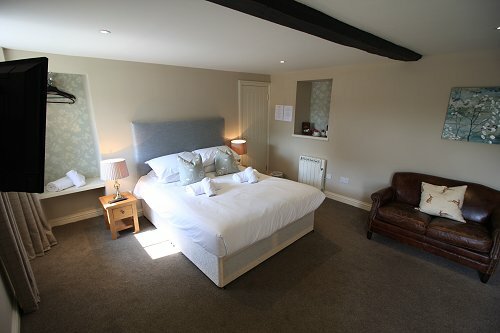 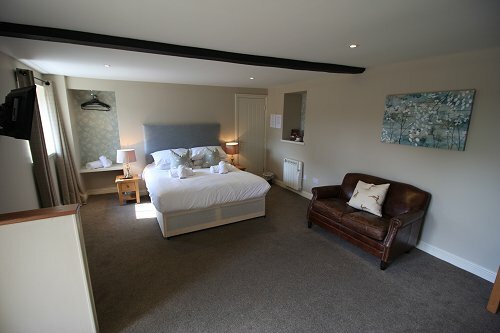 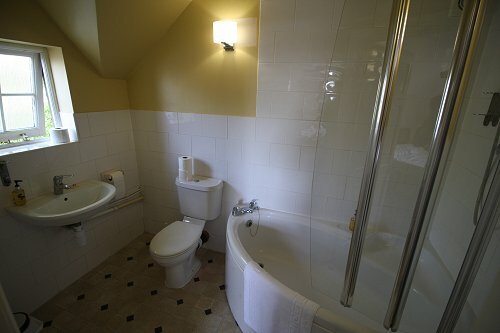 This is a ground floor twin room with an en-suite bathroom & shower. 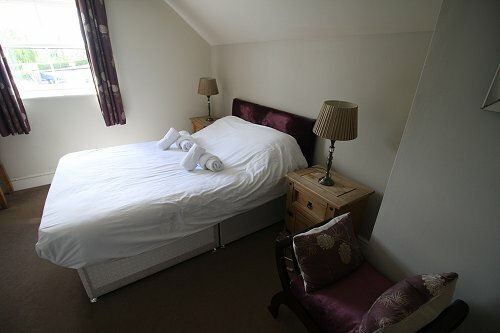 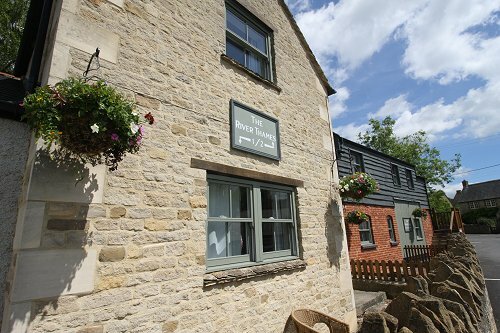 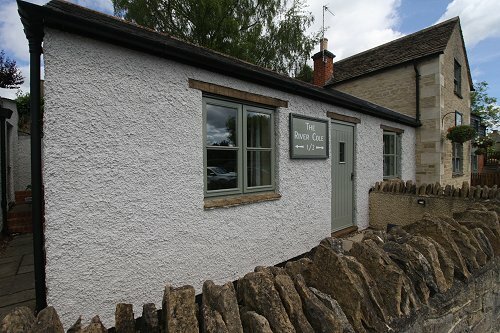 The room is separate to River Cole Room 1 but many families take both rooms to combine them to sleep 5 in total (one double & 3 singles). 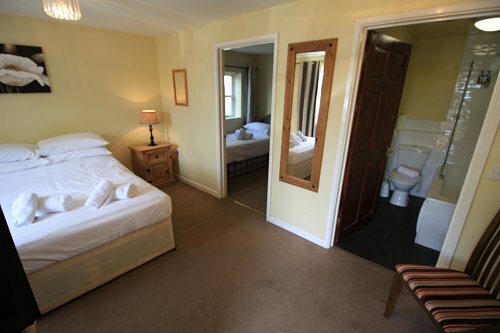 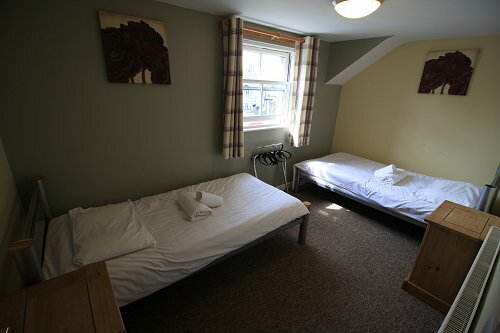 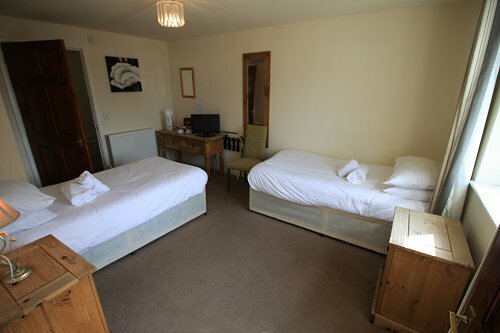 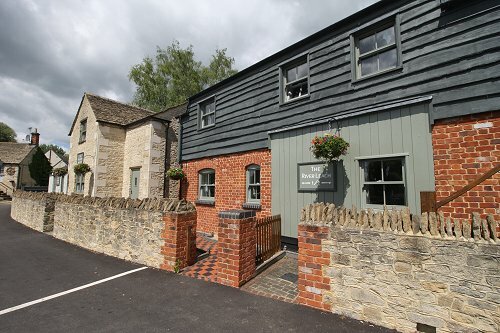 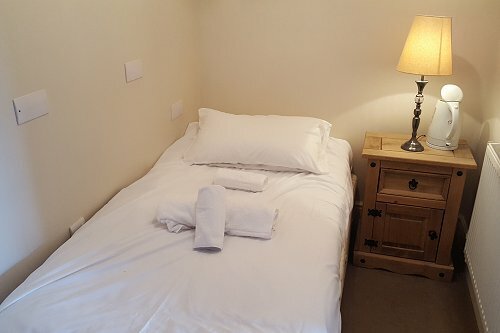 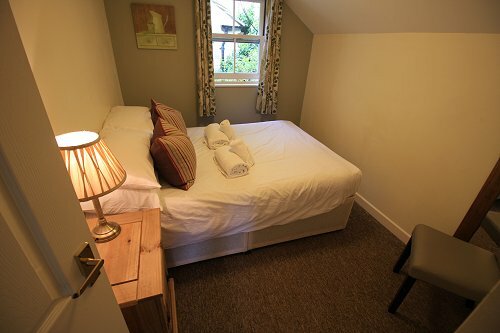 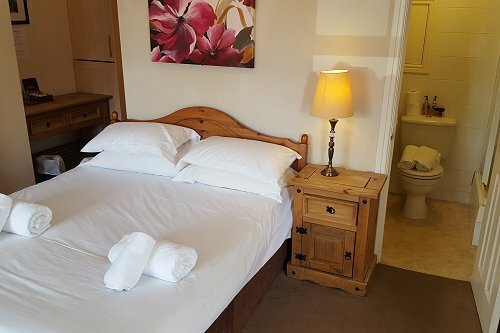 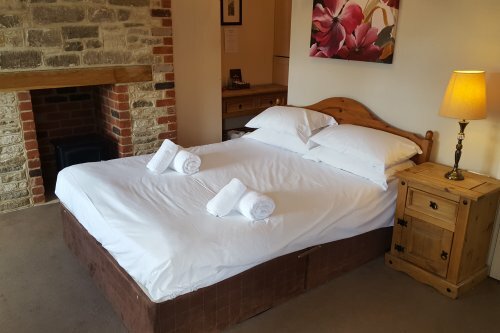 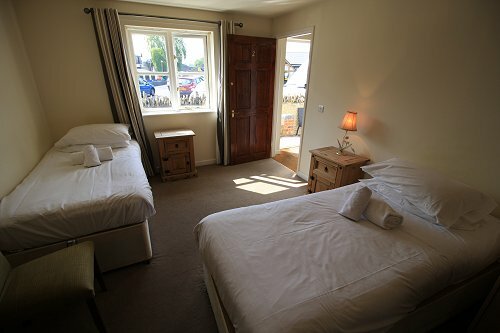 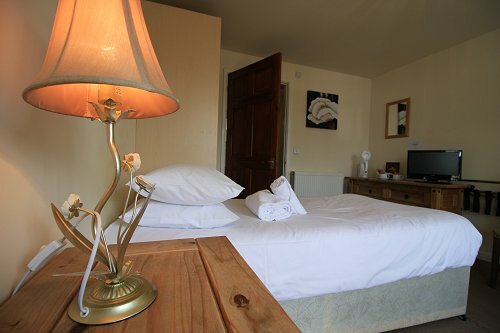 This ground floor room comprises a double bed & two single beds with an en-suite bathroom. 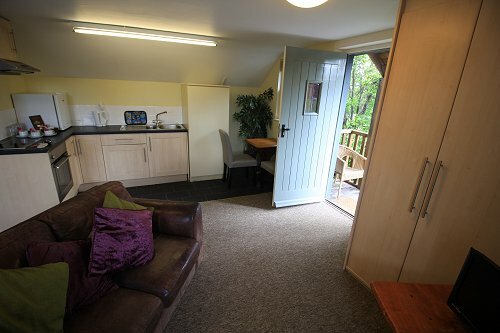 The room includes TV & coffee & tea making facilities. 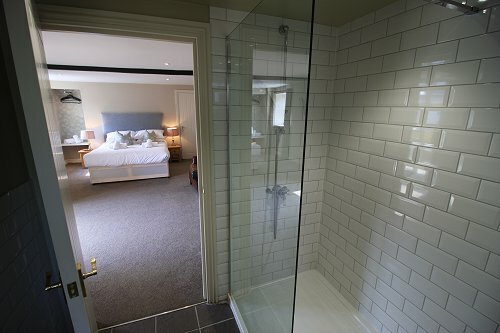 This is on the UPPER FLOOR and comprises a double bedroom with en-suite bathroom plus a single bedroom with a bathroom just opposite. 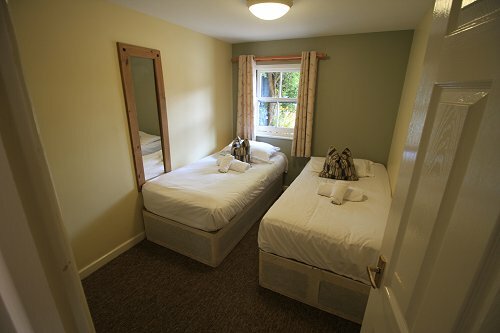 The rooms includes TV & coffee & tea making facilities. 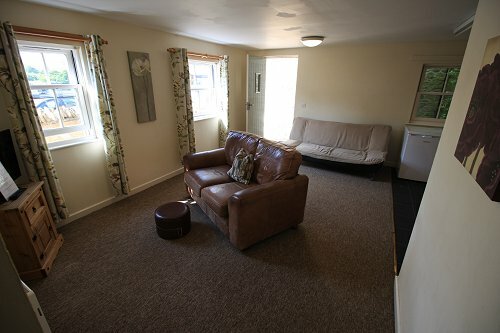 This larger ground floor room comprises a lounge & kitchen with a double bedroom, a twin bedroom and one en-suite bathroom off it. 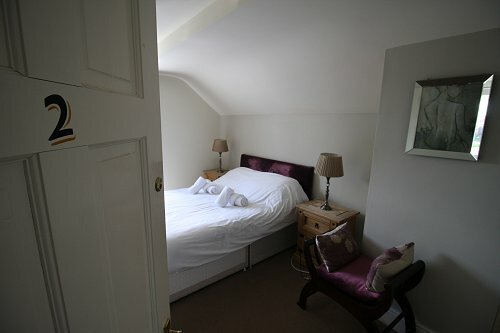 This UPPER FLOOR set of rooms comprises a main lounge & kitchen area with a single bed in the room. 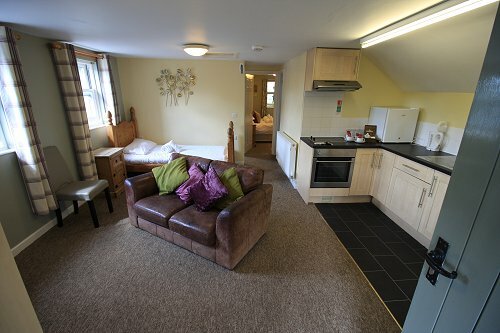 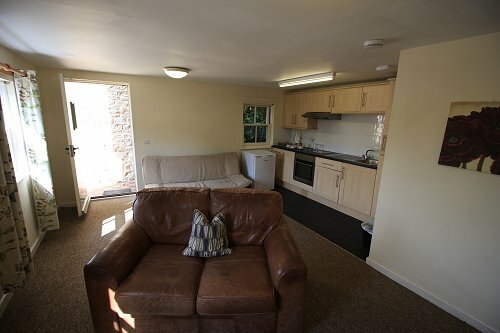 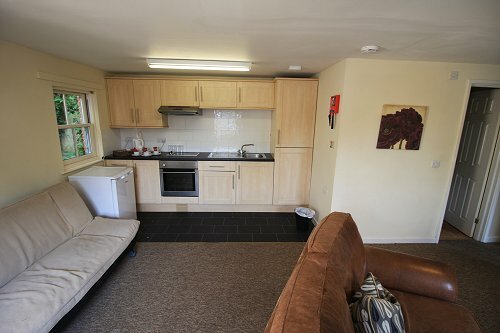 A separate double bedroom, a twin room & an en-suite bathroom are just off it.